"OUR VOICES CAN CHANGE THE FUTURE"
The Girls Justice League (GJL) is a girls’ rights organization dedicated to taking action for social, political, educational, and economic justice with and for girls and young women. 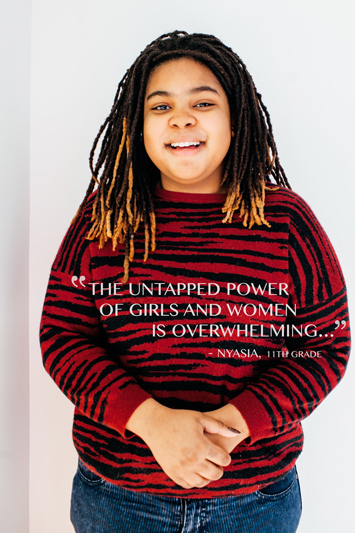 The League is a collective of young women and their allies working to build and reinforce a culture where girls are fully empowered and where gender, race and other disparities are identified and confronted in the systems which affect their futures. GJL uses multiple mediums to tell girls’ stories, disseminate research that accurately describes girls’ current realities and, social justice organizing toward a different future for all girls. "We want to be game changers for social justice." 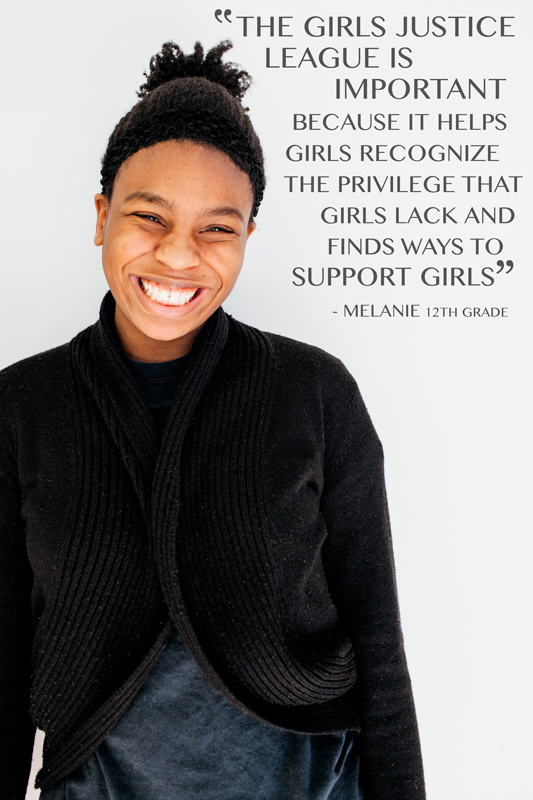 Click on the link below if you are a female identified individual between the ages of 14 - 24, and are interested in getting involved in projects and activism impacting girls rights and the space we hold here in Philadelphia.